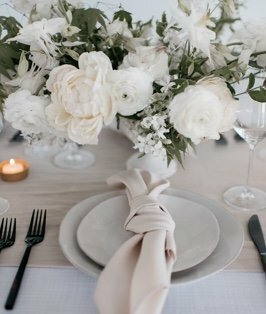 The lustrous, modern geometry of crisp, white lines across an pearlescent, ivory backdrop make this linen the perfect accent for any classy affair. Imagine glimpsing the shimmering purity of pearls through a cracked and frozen surface. Invite Pearl Entangled to your event, and give your guests the thrill of simple beauty.